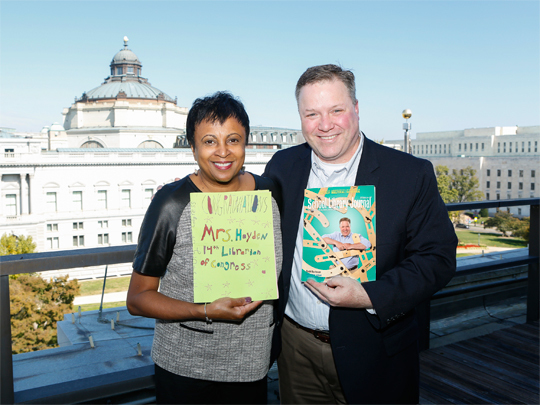 Librarian of Congress Carla Hayden and SLJ's School Librarian of the Year, Todd Burleson, at a post-Summit meeting. Hayden is holding up a card made by Burleson's students, while Burleson shows off his September SLJ cover. 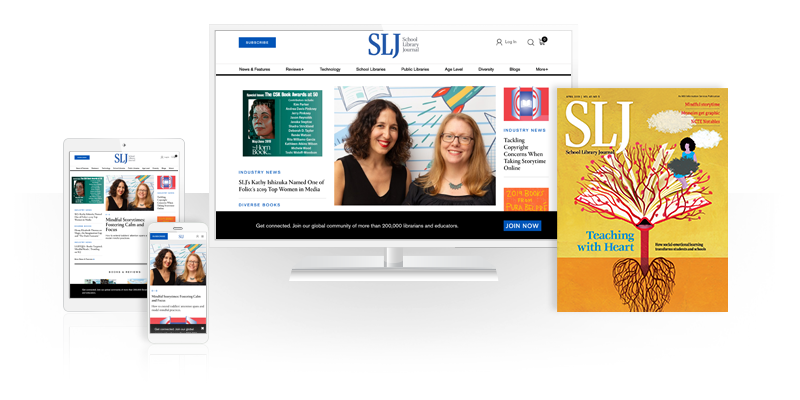 From stirring keynotes by a civil rights legend and an award-winning author to a lively Hackathon rife with crowdsourced ideas toward tackling major issues in the profession, the 2016 School Library Journal Leadership Summit was one to remember. A record 210 registrants gathered in our nation’s capital October 15–16 for the Summit, made possible by platinum sponsor Capstone; gold sponsor Follett; and silver sponsors ABDO, Diamond Book Distributors, Gale Cengage Learning, Junior Library Guild, Lerner, littleBits, Mackin, Rosen Publishing, and The Library Corporation (TLC). 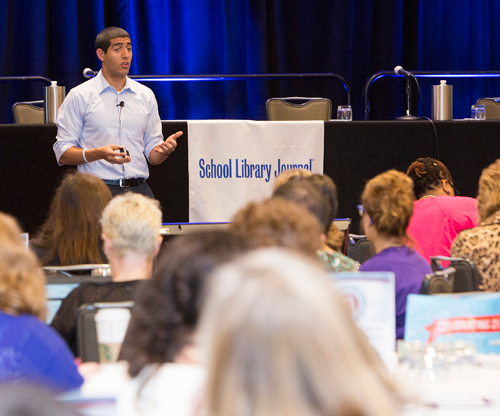 With the theme “Taking Charge in the New ESSA Era,” the event featured rapid-fire “Fast Learning” sessions and filled-to-capacity preconference tours of local school libraries and the Library of Congress. New this year was a superintendent’s panel and a Maker Playground, led by school librarians Colleen and Aaron Graves, where visitors tinkered with paper circuits and more. On hand, too, was SLJ’s School Librarian of the Year, Todd Burleson, who got the thrill of a lifetime with an in-person sit-down with the new Librarian of Congress, Carla Hayden, following the Summit. Karim Abouelnaga, founder and CEO of Practice Makes Perfect, urges attendees to consider their individual purpose. 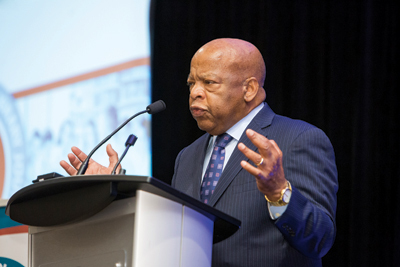 Congressman John Lewis was a memorable speaker with a powerful, inspiring message.